USDA projected an impressive (and record) Illinois average corn yield of 207 bu. per acre. 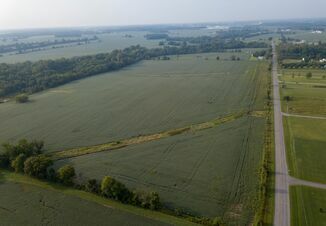 Pro Farmer Crop Tour scouts wandered those fields Wednesday and evaluated a mature crop that has little room to grow. But is there enough yield support the USDA number? Crop Tour data pegs the Illinois average yield at 192.63. Pro Farmer numbers support that potential downside, but also show improvement over their 2017 estimates by 6.6% to the upside. Greater ear populations are driving much of this growth at an average of 105.4 ears per 60 foot of row. 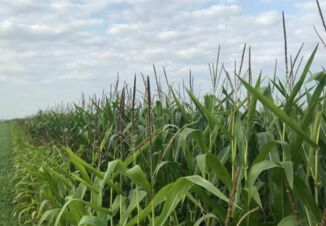 Grete admits the Pro Farmer Crop Tour missed low on the Illinois corn estimate last year, largely because the crop continued to grow in September to reach a record 202 bu. per acre average according to USDA’s final number for the 2017 season. Soybeans echo corn in terms of being very mature and likely reflecting the full, final yield. Pods are exemplary and already starting to fill. Scouts only measure everything a quarter inch and bigger, and they’re not finding many small pods this year. Last year Illinois soybeans only hit 1230.77 pods per 3X3 square, falling short of the three-year average of 1246.44 pods per 3X3 square. This year’s 1328.91 pods per 3X3 square boasts about an 8% increase over 2017. Illinois corn averaged 192.63 bu. per acre and soybeans reached 1328.91 pods per 3X3 square. Historically, with the exception of last year, Pro Farmer’s estimates for the state are nearly spot-on, just a 1.1 bu. miss in corn (which would put this year at nearly 194 bu. per acre). Last year the Tour pegged corn at 180.72 bu. per acre and the three-year average is 181.95 bu. per acre. While final Iowa results won’t be out until tomorrow, scouts got off to a running start. 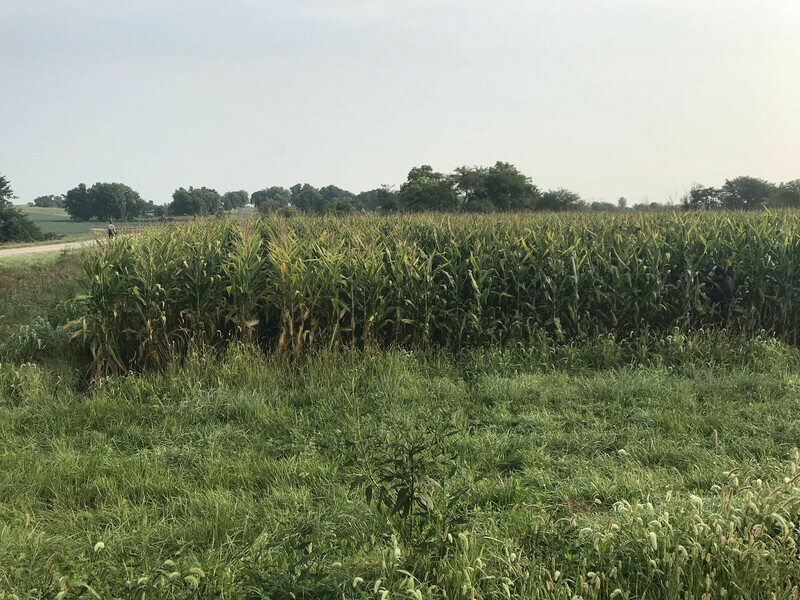 They visited three districts, pulled nearly 200 samples in both corn and soybean fields, with the southernmost district showing signs of a challenging season. Ear count is down in all of the districts they visited today, even the two that showed increases over last year. In the southwest part of the state, despite clear challenges and ear shortages, overall grain length was up. As they moved north to the central western area scouts started to see signs of weather problems. Some occurred as early as planting others were from severe green snap. Ear count dropped a significant number from 99.4 to 95.9 ears per 60 foot of row compared to last year in the central part of the state. Iowa preliminary results show variability in both corn and soybeans. Check back in tomorrow for final Iowa results to see if the rest of the state mimics what scouts saw today.